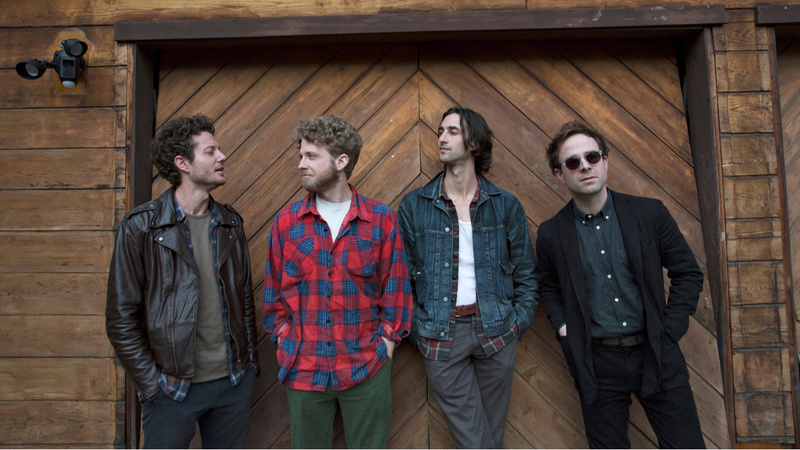 The men of Dawes have always been appreciative of their California rock forebears, whether Laurel Canyon folk royalty or edgier, anxiety-ridden troubadours. As for the latter category, it's no secret that Dawes frontman and songwriter Taylor Goldsmith has a tender spot in his heart for the songs of Warren Zevon. As Goldsmith has explained, it's Zevon's "true sensitivity and bleak cynicism" and bold risks as a lyricist that are so compelling. It's a pity that Zevon and Goldsmith never got the chance to hang out, compare notes, and collaborate over the course of Dawes's six albums, especially the group's lovely, latest release, Passwords. But Dawes has paid eloquent homage to the late musician many times by covering him in concert. Most notably—and poignantly—as Zevon's longtime friend David Letterman was preparing his retirement from CBS's "The Late Show" in 2015, he invited Dawes to invoke Warren's headstrong spirit by covering the gorgeous "Desperados Under the Eaves" in his stead. It's the one song that Letterman couldn't ever convince Zevon to perform on his show. In Dawes's intuitive hands, it was a riveting performance. When FUV decided to celebrate Zevon as one of our FUV Essentials, on the occasion of what would have been his 72nd birthday, we followed Letterman's wise lead and reached out to Goldsmith to remember Zevon via his choices of "Five Essential Warren Zevon Songs." When anyone asks me if I have a favorite song, this is often my answer. Rumored to be about Marilyn Monroe and Norman Mailer, but clearly only insofar as it is a frame in which Zevon can explore his own romantic meditations. Along with "Desperados Under the Eaves," it is also one of the greatest L.A. songs ever written. Certain observations, even as simple as “when the lights came up at two, I caught a glimpse of you...” feel so singular to a certain kind of L.A. night that only Zevon knows how to write about. Personally, I feel like the elaborate recording sort of got in the way of the song itself. I’ve covered this song a few times with just an acoustic guitar and it has really shown me just how incredible the song is. I would recommend, if you play guitar, looking up the lyrics, learning the chords and singing this to yourself—and then try to deny that it’s one of the greatest songs anyone has ever written. It’s amazing to hear a song feeling like it takes place in the future, let alone an entire record. As a record, Transverse City doesn’t seem to get a lot of love, but I feel like it has some of my favorite lyric writing of his whole career. This song especially. And I am pretty sure it’s the only time I’ve ever heard someone mention "entropy" in a song. I initially planned to not to talk about this song, because we all know it already and it’s fairly easy to write off as some sort of novelty song that became an unlikely hit. But the more I listen to it, the more the song itself blows me away. It's one of those examples of a song where you can’t understand how it was written no matter how hard you try. To think up the line, “I saw a werewolf with a Chinese menu in his hand,” and think to yourself, “Yes! This is the first line of a song!” is hilarious and absurd, but also literary and deep on some level that I can’t put my finger on. The whole song functions like this. Listen again and pretend it’s the first time you’re ever hearing it.